We visited the Backpackers Villa Sonnenhof. It's a remarkable hostel, receiving many different awards. 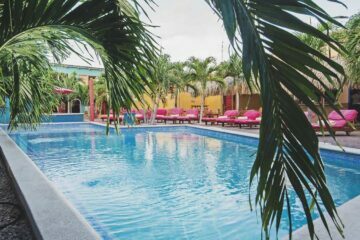 The Backpackers Villa Hostel is a perfect base for the tranquil traveler looking for that all exciting adrenaline kick. Follow our foot steps through the hostel. We even brought back an exclusive 5% promo code. How to book Backpackers Villa Sonnenhof? Exciting news: We got a solid and valid promo code for Backpackers Villa Sonnenhof. This is an exclusive promotional code for the Hostelgeeks community - such as YOU! No promo code needed. The 5% off applies automatically when you book through the link above. Still not sure? Have a look on other booking portals to compare the rates. Bear in mind, you can only apply the 5% discount for Backpackers Villa Sonnenhof here. Find all our promo codes for hostels here. Central! You cannot be more central. You are directly in the center of the town. The providers of the activities offer pick-up service. This means: Sit back and wait in the common area for the pick-up. Simple as that. There are a couple of bars and restaurants around the corner. If you have enough energy left after a long sports day, this is the place where you can get a drink. 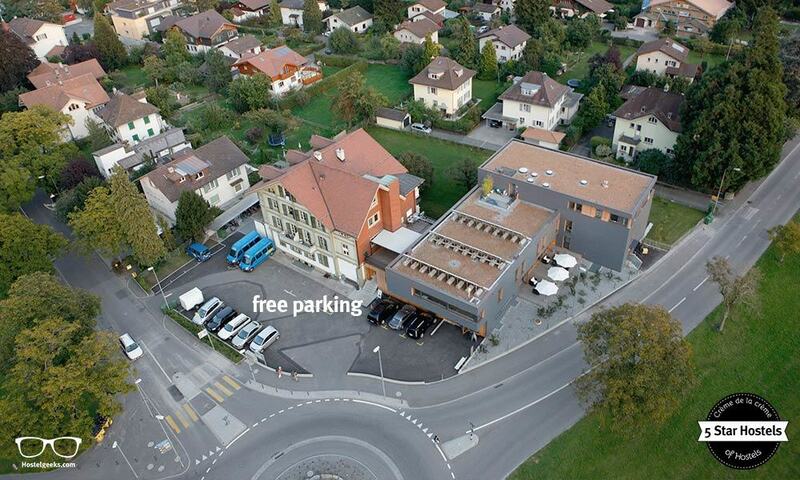 Right in the front of the hostel, there is free parking. The public swimming pool, the casino, and mini-golf is in walking distance. Don't worry about the location. 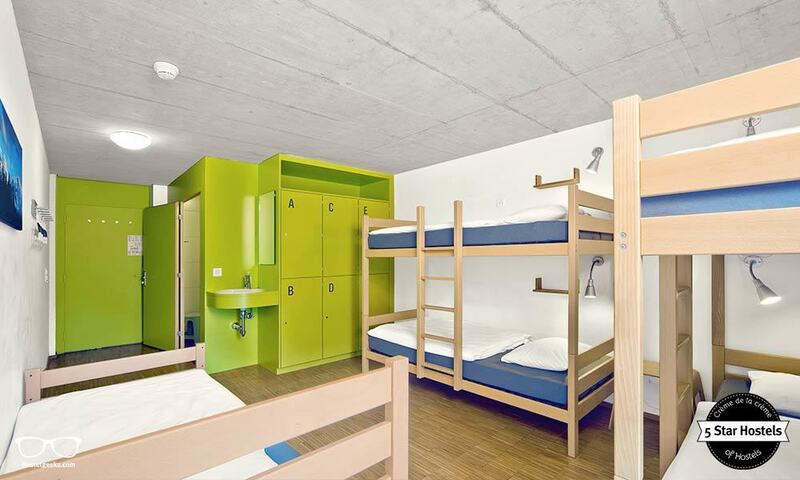 It's the best located hostel in Interlaken! Other than the hostels location, obviously Interlaken is THE place to be for sports activities. Food blogger Praerna also visited Interlaken, and tells her story through the lens of her iPhone. We highly recommend to check out all the possibilities there. BUT: hold your horses for booking the activities. Those always depend on the weather conditions. We recommend to book your activities upon arrival. Ask the reception team. They actually tried these activities themselves, so they can give you 1st-hand experience. We go into detail in the full review. You are going to be as impressed as we are! 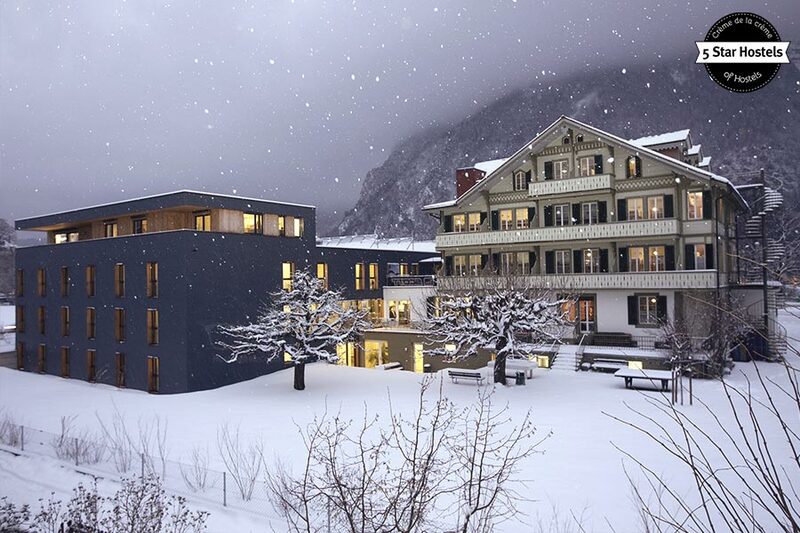 The new 5 Star Hostel in Interlaken ticks all the boxes of an outstanding place to stay on a budget. 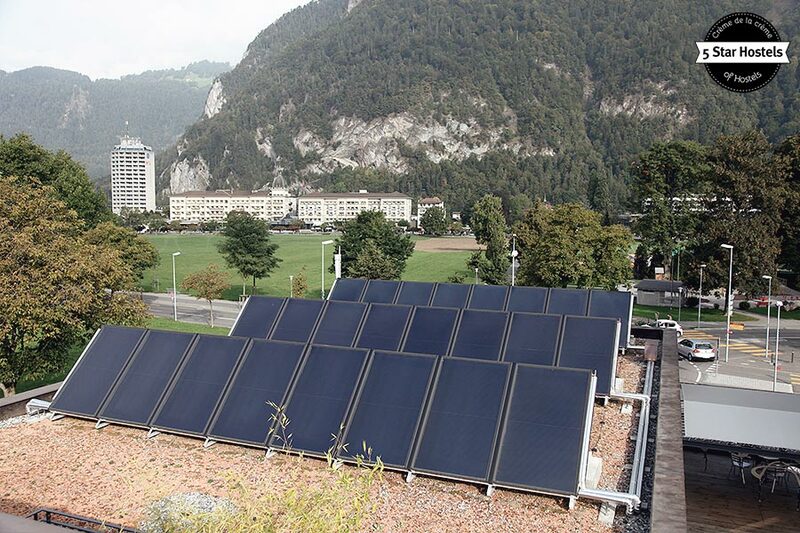 We like to say “it does not rain water in Interlaken, it rains para-gliders”. Just keep your heads up, with a camera in the hand. Here you can find all official 5 Star Hostels. Backpackers Villa is one of the top hostels in the country. 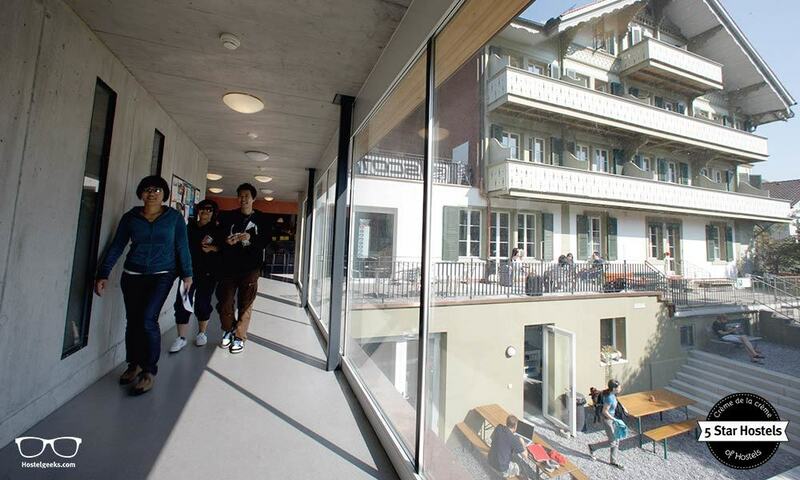 Here is a full list of all the best hostels in Switzerland. 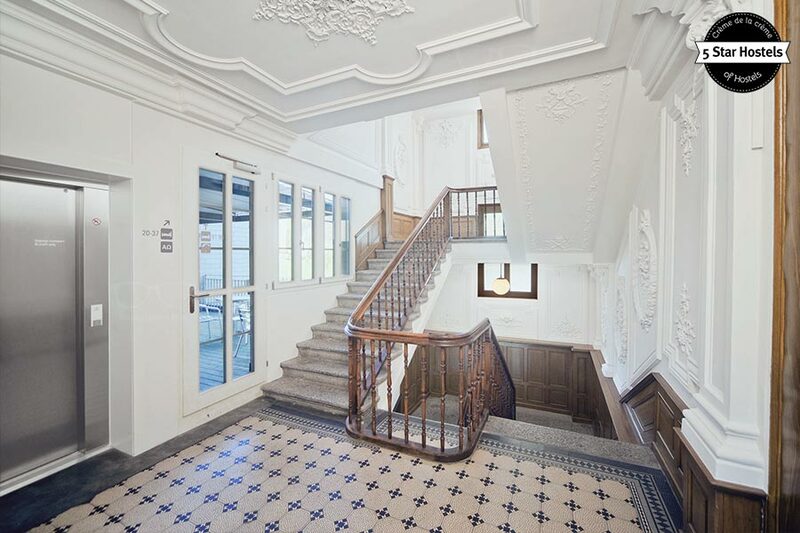 Here’s our guide to best hostels in Zurich. The building runs on nature-made water power and features a modern-traditional design. They will help you to try out the most Adrenalin-filled activities throughout the world, whilst you can look forward to and enjoy a calm, relaxed stay at the hostel itself. As a basic, every 5 Star Hostel offers free WiFi, a self-catering kitchen plus private accommodation as well. The WiFi at the best hostel in Interlaken is SUPER fast. Seriously, it may be the fastest internet connection we’ve experienced at any hostel in the world. Whether you prefer a private room, or a shared dormitory, the Villa have got you covered. Interlaken is one of the most exciting, Adrenalin-packed areas in Europe, and possibly even the world. The smallish town of Interlaken is known as the sports capital of Europe. Fact is, there is only 1 other city in the world which has just a few more options. And guess what, it is at the other end of the world; New Zealand. We visited the hostel. This is our genuine experience we had personally. So, join our walk through the Backpackers Villa. 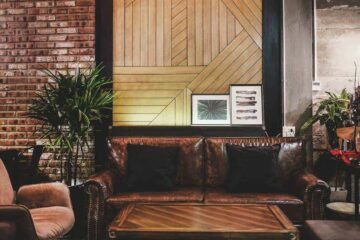 We will introduce you to the different areas and the tranquil vibe and we will show you why this hostel-typed accommodation is the perfect spot for you. The Hostel Description – How green is it? We at Hostelgeeks always have a close look at the sustainable efforts at all 5 Star Hostels. It is a crucial criteria. Of course, the level of sustainability has a different meaning in different countries. Switzerland is a country known for its stunning nature. In order to preserve the incredible natural landscape, Switzerland is a country with one of the highest levels in sustainability. So, no wonder, we are expecting big actions. We were and are impressed. Since the very start, the Backpackers Villa Sonnenhof aims to be sustainable and as eco-friendly as possible. In fact, the Villa is a hostel to be certified with the 100% climate neutral label of myclimate. The Mountain Hostel Tarter in Andorra uses the same technique to ensure you a hot shower! For their new, modern building they even have a comfortable airing system. Have you experienced stifling air in a dorm? Well, you won‘t at Backpackers Villa Sonnenhof. The airing system enables a constant exchange of air without opening the windows or doors. Okay, you may not care about this right now. But it is seriously a relief once you are there and experience it in person. With the all-you-can-eat breakfast, you are enjoying local, Swiss products, produced right around the corner. The coffee comes from a local roasting house, and all the foods including dairy come from Switzerland. The breakfast is included and a good idea before starting your day of Adrenalin-fueled adventures. On top of all the technology part, the social part is also important. Back in 2011, they donated their old (yet good) mattresses to charity, and these are now being used in hospitals and children shelters in Romania. A good hostel design reflects the local environment. The design of the 5 Star Hostel is a quiet combination of classic and modern. The main building is the Chalet, and it is more than 200 years old. 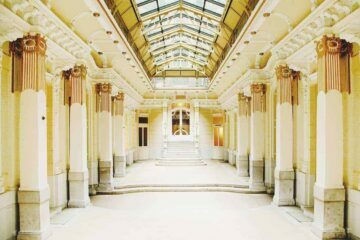 It is a big Swiss cottage, a classic, beautiful piece of old architecture, giving you a classic vibe. The stucco in the hallways is also a wonderful small classic touch. On the other hand you have the very new and modern building. The combination of both modern and traditional makes it a special hostel. As for the facilities, they match the highest standards. You can hang out in the chill out lounge, on the terrace overlooking the green garden, and enjoy pure nature. There are many different corners to simply relax. The accommodation is certainly a mix of homely and ‚chill out‘ hostel. 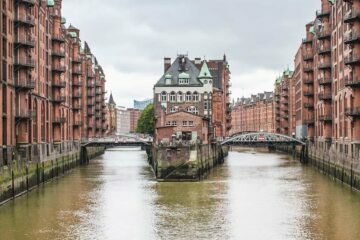 Find an overview of all 7 types of hostels here. The uniqueness of the hostel is its combination. Every day you can join nearby Adrenalin-filled activities: Jump out of a plane, fly over a canyon, and slide down the flume. Whether it is summer or winter, there are numerous of activities you can join! No wonder, we even see is as the top winter destination in Europe! 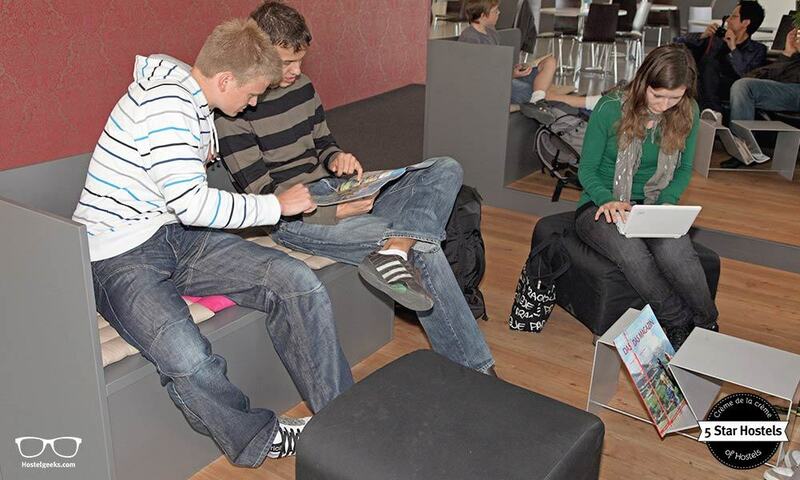 Once you arrive back at the hostel, it is time to relax and kick-back. It is a great place to recharge your battery. You can meditate in the extra meditation room, catch some rays on the terrace or swing your ping-pong racket. Other popular accommodations in the area are the LakeLodge Iseltwald, slightly outside of the town and Alplodge. What about the social vibes? There are no organized social activities at the youth hostel. Sounds odd? Actually not really. The people come to Interlaken to enjoy nature at its fullest, and to try out sports activities you won’t find anywhere else. When it’s time to slow down and to get back to the hostel, the easy-going, tranquil vibe of the hostel is very much appreciated. That does not mean it is boring. In fact, the hostel kitchen is always busy. Join in the cooking sessions, try out the board games or ping-pong table, and hang out at the terrace. This is a lovely opportunity to talk with your fellow travelers, and exchange your experiences about the things you’ve done in Interlaken over the day. Who has the craziest experience of the day? You will listen to many great stories for sure and it’s a perfect opportunity to share your own ones. 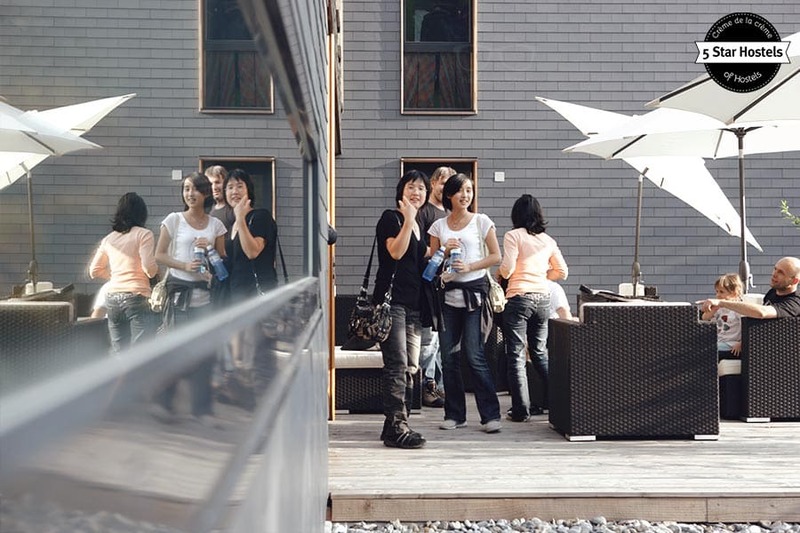 The hostel is especially popular among Asian travelers as well as solo-travelers from USA and Europe. Stay here and mingle. If you are looking for some party-time, head over to Balmers Hostel. It is only a short 5-10 min walk away. Here you have a full bar, good prices and more party-ish atmosphere. Head back to the Backpackers Villa for a tranquil, relaxing night. Yes, no doubt! It is high-quality hostel. They offer as well family rooms. As it is also a tranquil accommodation with NO parties, many families love to come here. There is even a special kids-room to play – loaded with plenty of toys. That is not to say there won’t be drinking and a bit of party going on. For the ones looking to party a night out, find your party-buddy at the backpackers villa and then hop over to the nearby party hostels. This is the best combination ever to have a night out. Find more family-friendly hostels here. Is this hostel for solo-travelers? As mentioned, it is NOT a party hostel. You sleep super tranquil in fantastic mattresses. It is super clean and the staff is just outstanding. For a solo-traveler it is easy to connect – just a simple hi does the trick. However, we went for a drink to the Balmers Hostel around the corner. 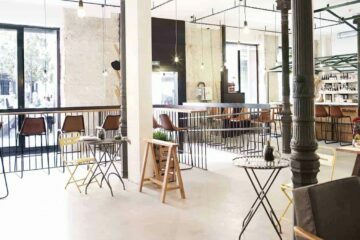 Here you can find more hostels for solo-travelers. For the Villa, good staff is key to a great hostel. And we agree. The staff are handpicked and very well educated. Every staff member has a vocational degree in business administration and is well experienced in giving you the best advice. It is worth mentioning, as we are talking about hostels, where it is very common to find volunteers working there. Talking about experience. Every member of the staff knows the area and activities you can join in Interlaken. In fact, everyone has tried out those activities themselves, which is especially good to know as the staff can give you recommendations based on first-hand experience. On Get Your Guide you can also find plenty of things to do in Interlaken. The hostel is able to keep their staff for a long time (2 to 5 years which is very long term when talking hostels). We are sure this is one of the reasons why they manage to keep up their top ratings and reviews about the staff. The Hostel Ruthensteiner in Vienna is also taking good care of their staff. Last but not least, here is a smooth trick. 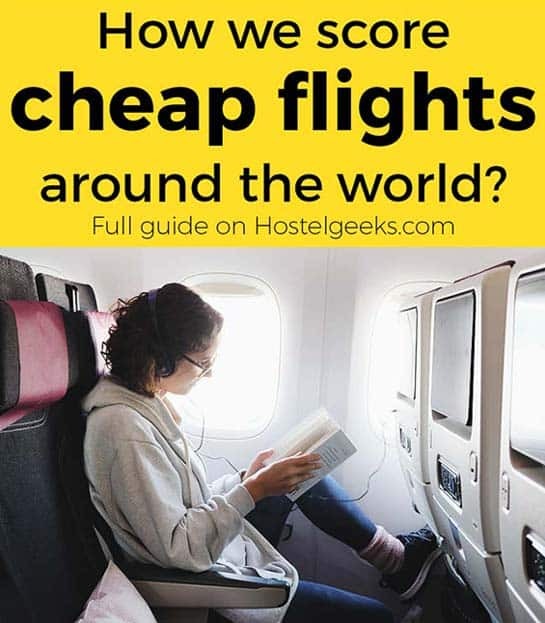 We at Hostelgeeks do not offer any booking service, you already know that. When it comes to booking we always recommend to check out the official website of the hostel. And of course the same goes here. The official website of the hostel is usually the place where you can score the lowest price and/ or get some extras. Backpackers Villa Sonnenhof has some extras available for the traveler(s) making a reservation on their official website. You will get the lowest price guaranteed, and you will also receive a free bus ticket for your ride from the train station to the hostel. Plus, and this is also very good to know: You can cancel your reservation up to 24 hours before arrival for free! We at Hostelgeeks think this is a very special, sweet deal. Take this into account when booking. 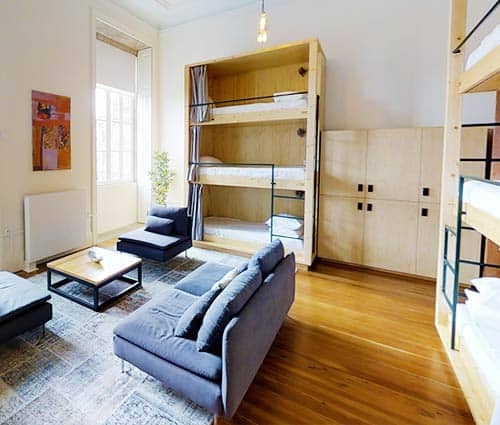 For more booking recommendations, take a close look at our 15 booking hacks for hostels. You can get the solid 5% discount with Backpackers Villa Sonnenhof here. The discount will be applied automatically only through this link. Additionally, you get the benefits mentioned above. Pretty sweet deal! Find more hostel videos here and join us on Youtube. How many days to stay in Interlaken? 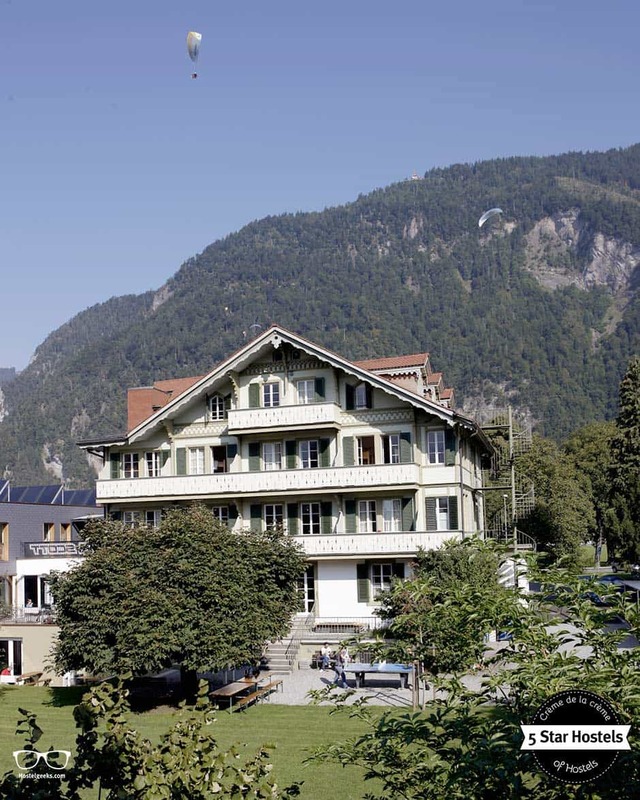 We recommend to stay at the very least 2 nights in Interlaken. Pack your best sports wear and jump out of a plane. Highly recommended is seriously the hand-gliding as well as the Canyoning. Everything is up to a top standard. 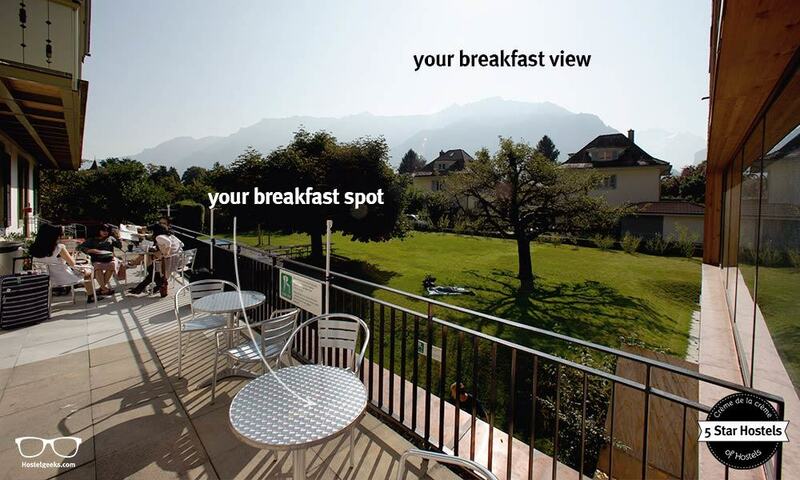 Especially for Interlaken, this hostel is the perfect choice. It is super clean, friendly, professional staff, plenty of facilities, top location … this list could be endless! As for the activities, ask the staff once you arrive. The activities depend a lot on the weather. You can get ideas on things to do in Interlaken here. Fancy a promo code for Backpackers Villa Sonnenhof? Who doesn't?! Now, there is no easy way to say this: Currently we do not have a valid discount for Backpackers Villa Sonnenhof. 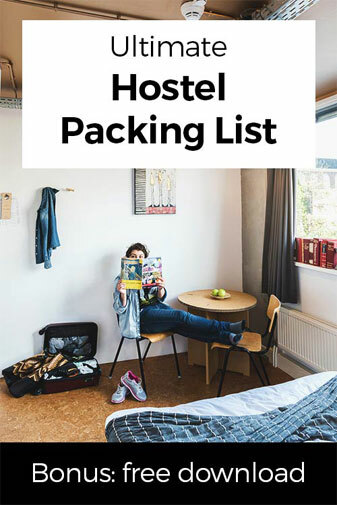 We are working on getting more promotional codes for Backpackers Villa Sonnenhof in Interlaken, Switzerland and all the other top hostels we reviewed for you. 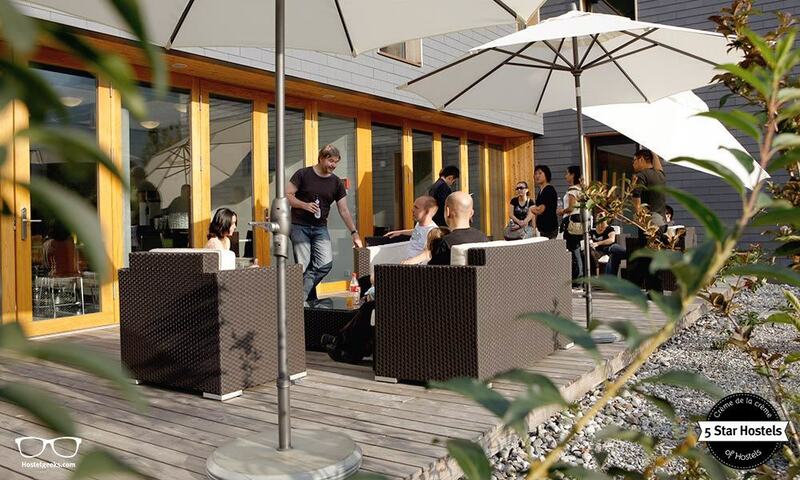 Exciting news: We got a valid promotional code for Backpackers Villa Sonnenhof. This is an exclusive discount for users of Hostelgeeks - such as YOU! No promo code needed. The 5% off applies automatically by using the link above. Update April, 2019: How to find flight deals to Interlaken, Switzerland? Still looking for cheap flights to Interlaken, Switzerland? We LOVE Kiwi.com. You can search here with a so-called "radius search". It is incredible easy to find sweet flight deals to Interlaken, Switzerland and area.